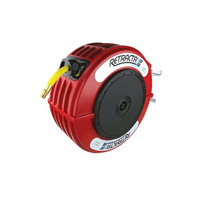 Recoila is an Australian company that supplies heavy duty steel reels supplemented with hand-picked reels from some of the world's best quality manufacturer's to present a truly comprehensive product range. 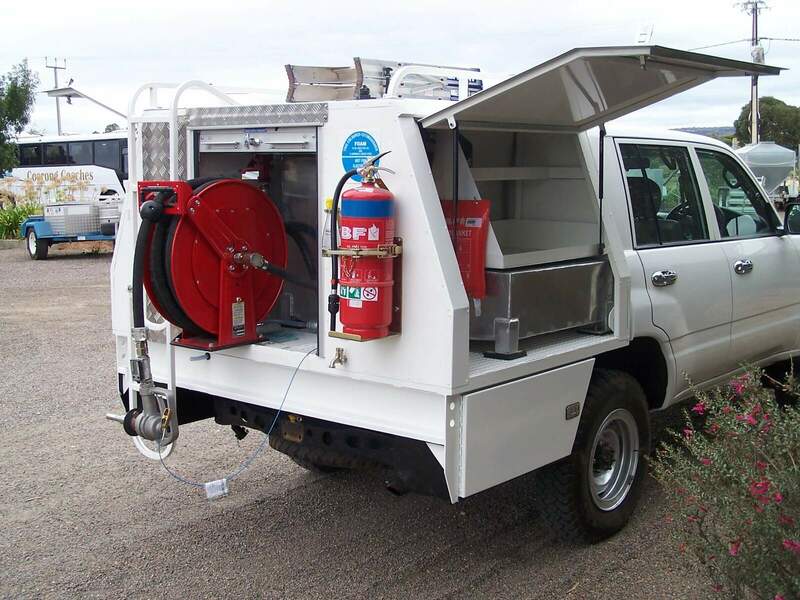 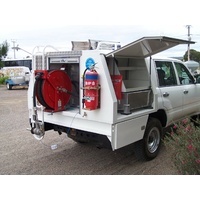 Industrial grade heavy duty hose reel. Engineered for maximum strength to provide you with confidence and trouble free performance in the most demanding applications. 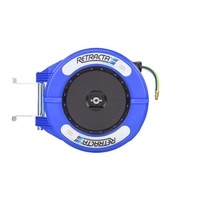 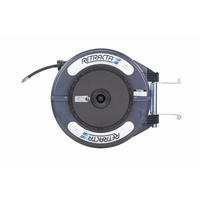 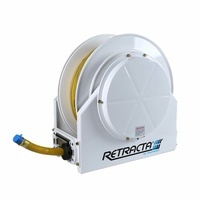 To reduce maintenance and extend the working life, this reel has a unique five in one aluminium casting that comprises the main shaft, the latch & ratchet mechanism, the spring arbour and the goose neck. 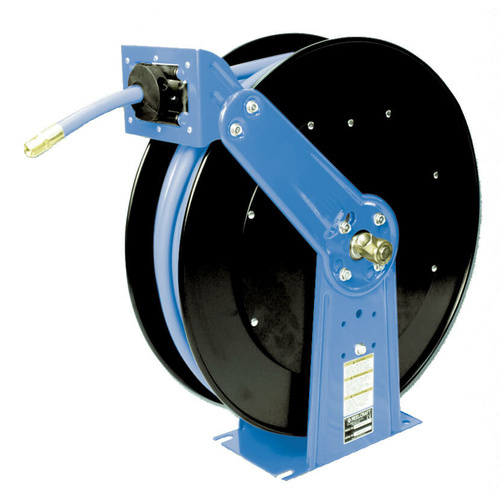 The all-steel frame and drum construction with baked-on polyester powder coat finish combine to produce a rugged corrosion resistant product, suitable for a wide variety of heavy duty applications. 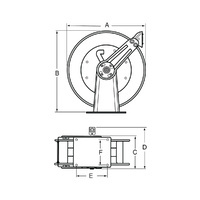 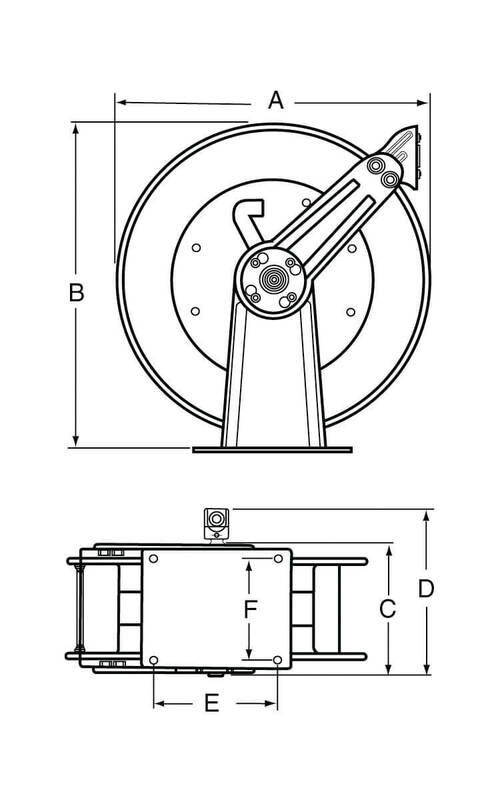 A four position guide arm allows wall, floor, ceiling or pit mounting.